Most of the time, our immune systems work quite well to keep us healthy. It does a wonderful job regulating itself and doesn’t necessarily need that much help. 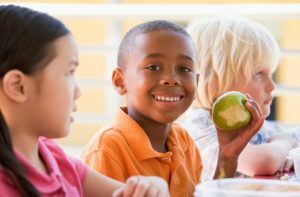 As we prepare our kids for school and the upcoming fall and winter months, it’s helpful to understand that there may be times when our immune system weakens. Our lifestyle can impact our immunity, so here are some handy tips to make sure we are doing everything we can to boost the immune system when surrounded by germs. Medically speaking, the main components of our immune system include lymph nodes, tonsils, spleen, bone marrow and thymus. We are still learning about the intricacies of the body’s immune response, but we do know to function well the entire system is a balancing act. Researchers have investigated the effect of factors like our diet, exercise and environmental stress on our immune system. Want to keep your immune system healthy? Make sure your family has adopted a healthy lifestyle. Things like eating a diet rich in fruits and vegetables. Vitamins A, C, and D, minerals and zinc play an important role in our immune systems. When we eat a balanced diet, there’s no need to take extra vitamins or minerals. Our busy schedules sometimes make it difficult to prepare proper meals and eat well. In that case, consult with our staff on recommendations for daily vitamins for your child. In addition to a healthy diet, regular physical activity contributes to our overall wellness. When our children get home from a full day of learning, they may be tired and ready to play on their gaming systems. Set limits on how much screen time is allowed, and encourage family walks, bike rides and outdoor play-time after school, explaining that fresh air revitalizes a body, kickstarting energy better than screen time! The benefits of exercise is just another reason after-school sports can be so important for your child’s wellness routine. Exercise promotes efficient blood circulation that keeps the cells of our immune system “on the move” and successfully doing their job. The days of “sleeping in” over the summer months are gone, and our growing children require an adequate amount of sleep to thrive, stay healthy, and learn each day at school. Lack of sleep is just one more reason our immunity can become compromised, so make sure your child gets plenty of it! Sleep deprivation over time can lower the response of the immune system while deep sleep strengthens it. Visit sleepfoundation.org to find average sleep requirements for your child, depending on their age. You can also ask one of our doctors what is recommended. Stress reduction is another way to boost immunity. When we feel stress, we suppress our ability to fight illness and disease. Experts have found that reducing stress can prevent illness and types of infections. If your child is feeling overwhelmed with school work, schedules, and their social circles, make sure you offer him or her the support they need. If you notice that your child seems depressed or overly stressed for an extended period of time, contact our office so we can help determine the next best steps. If you have other questions about your child’s health and wellness, contact our office. 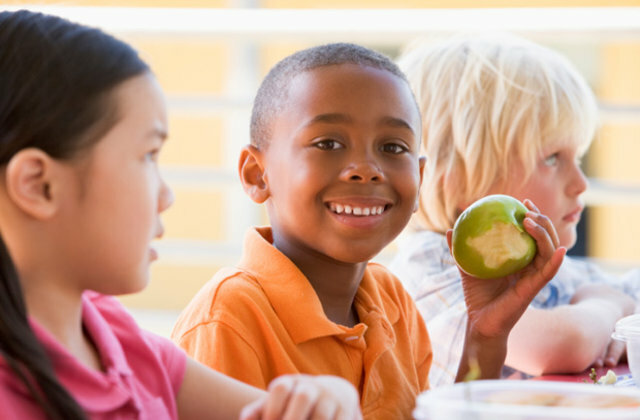 Kicking- off the new school year in style, with a healthy routine, will be beneficial for your child and your entire family. Remember: the best thing you can do is set healthy examples for your children. Need to schedule your child’s physical or health screening? Give Dr. Shaw or Dr. Kellow a call at 618-235-2311. You can also visit us online at http://childcarephysicians.com/.